First and foremost, the top benefit of staying in a cabin is having your entire group under one roof. Plus, a cabin gives you the flexibility of bunking with extended family and friends, a space for everyone to stay together. Rather than having to split up in multiple hotel rooms, everyone can enjoy a retreat in a genuine home away from home. When exploring retreat center rentals, a cabin can provide a more affordable alternative to a crowded, noisy hotel. Staying together in a large cabin is not only more convenient, but it will also bring your group closer together. When considering the best event rental accommodation for your retreat, our cabins are a perfect way to make your next vacation a rustic, comfortable retreat. Capital Retreat Center features three distinct villages featuring cabins with in-bunk bath/shower rooms, new furniture and porches to relax and take in the scenic outdoors. These cabins are ADA compliant and capable of sleeping 20 persons each. Benjamin Village Cabins: 8, fully heated and insulated cabins with in-bunk bath/shower rooms, furniture/storage, and porches. 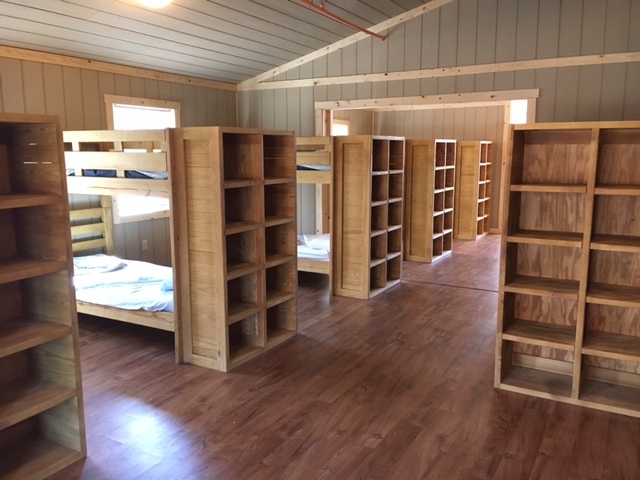 All cabins are ADA compliant and sleep up to 20 people on 10 bunk beds. Total capacity of 160 guests in this cabin village. Reich Village Cabins: 8 cabins with in-bunk bath/shower rooms, furniture/storage, and porches. 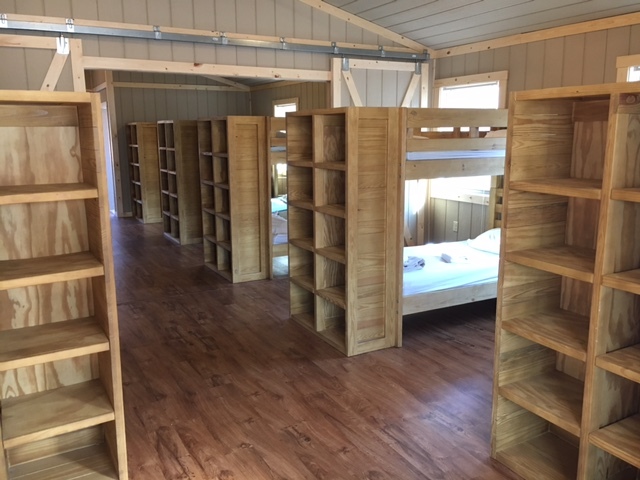 All cabins are ADA compliant and sleep up to 20 people on 10 bunk beds. These cabins are unheated and available seasonally from April through September only. Total capacity of 160 guests in this cabin village. Kaufmann Village Cabins: 8 seasonal cabins with in-bunk bath/shower rooms, furniture/storage, and porches. 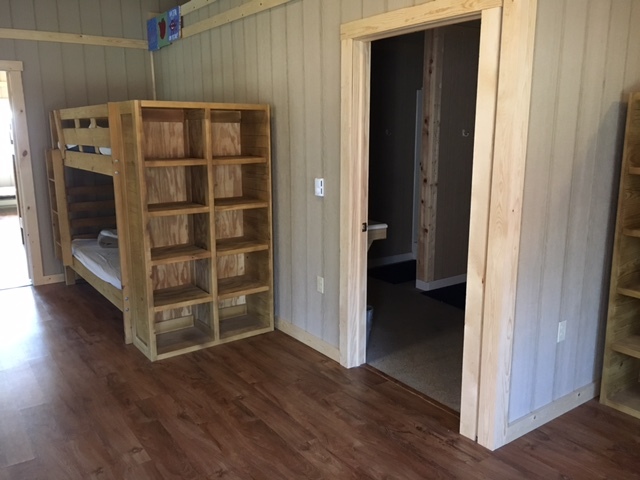 All cabins are ADA compliant and sleep up to 20 people on 10 bunk beds. These cabins are unheated and available seasonally from May through September. Total capacity of 160 guests in this cabin village.